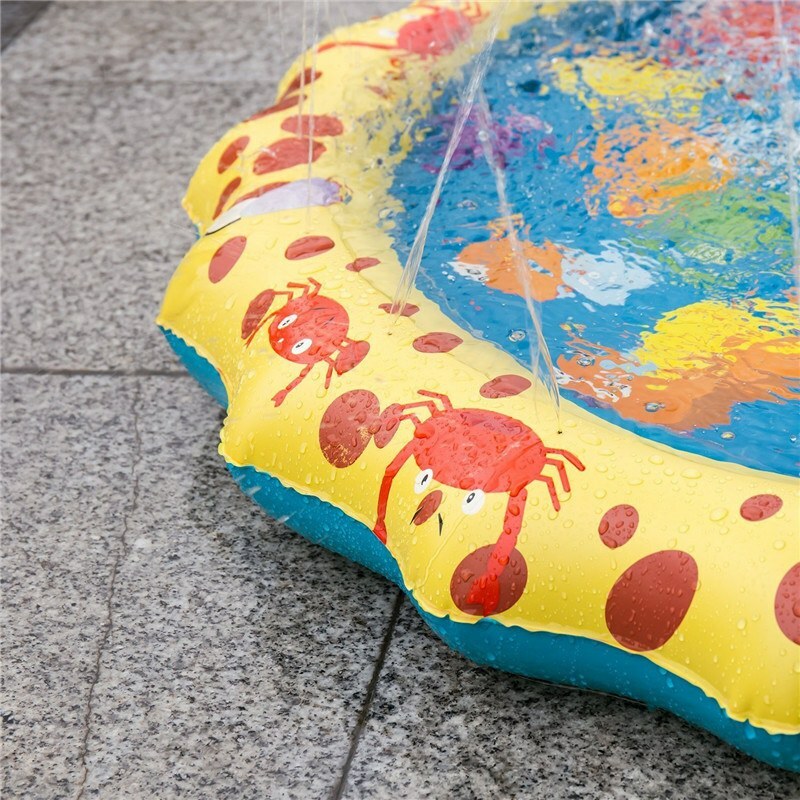 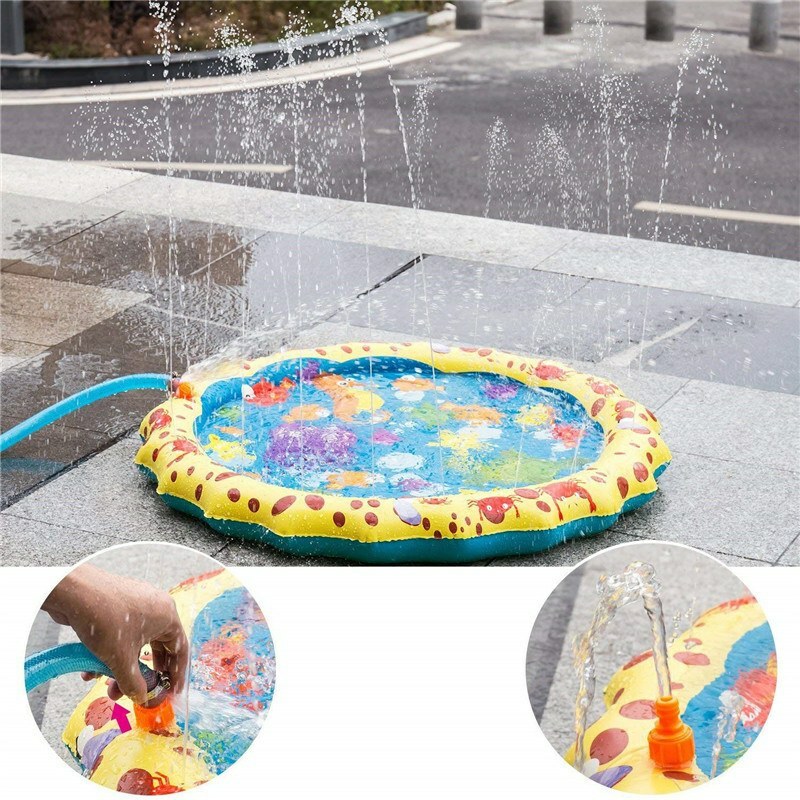 1.Gentle water sprays come from the squishy water- filled border and fill the shallow pool with water. 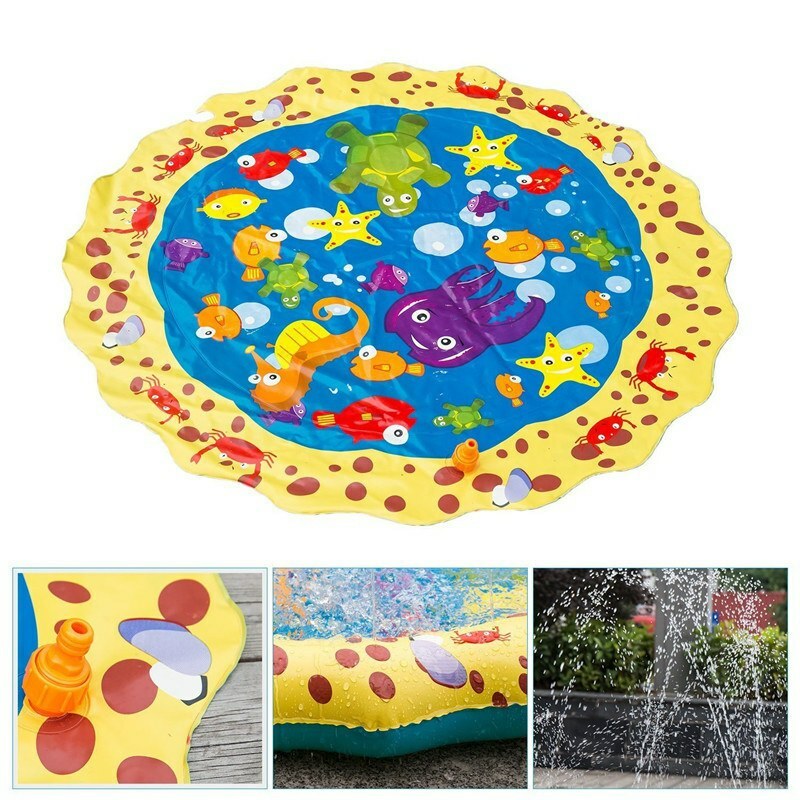 2.Durable PVC construction, it’s safe for your children to play in. 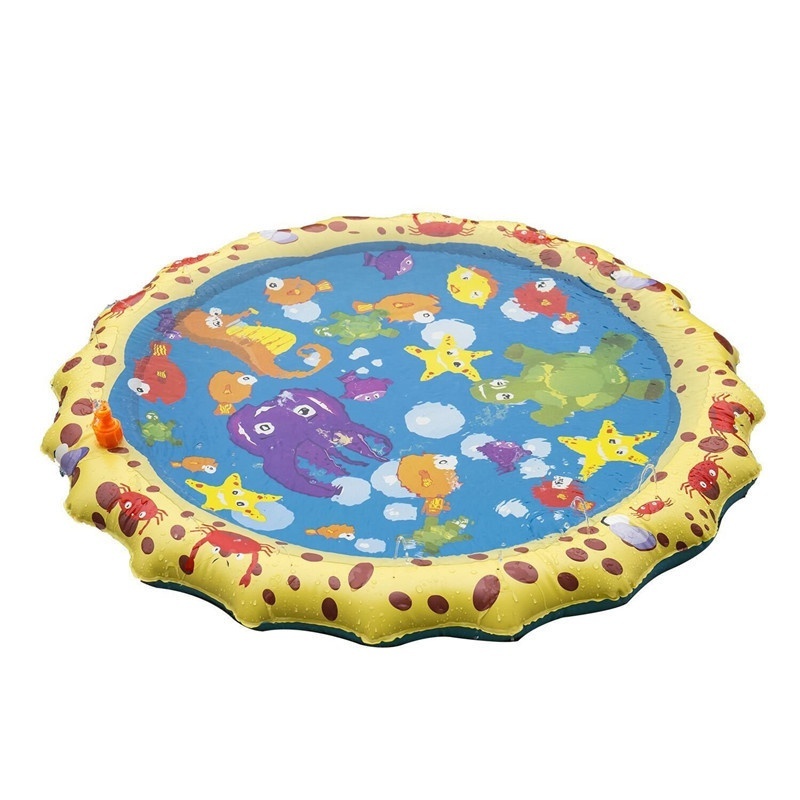 3.The perfect way to introduce your child to water play, your children will enjoy it! 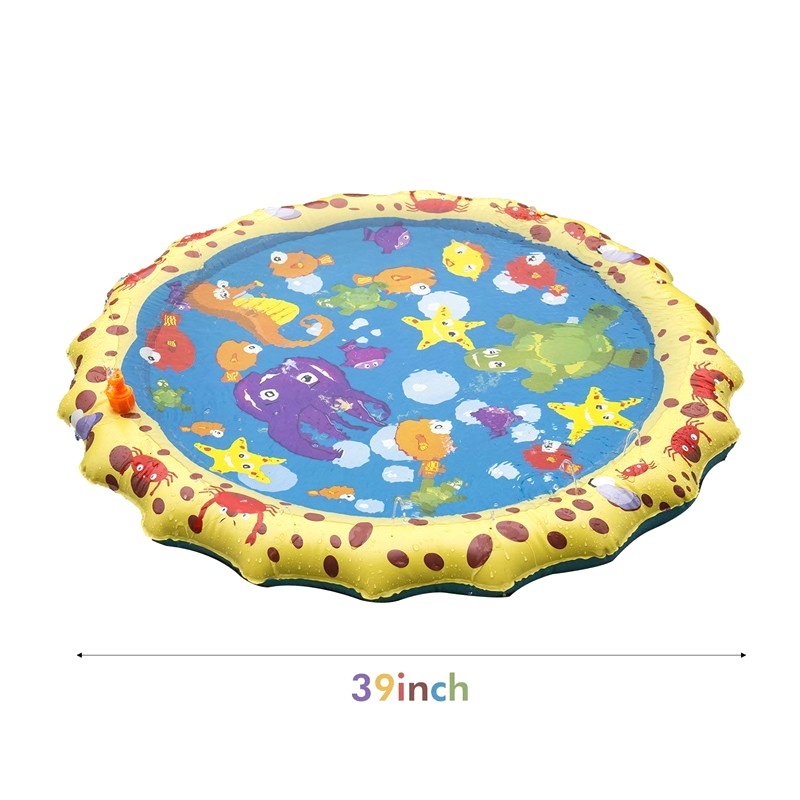 4.39" diameter water-filled sprinkler mat. 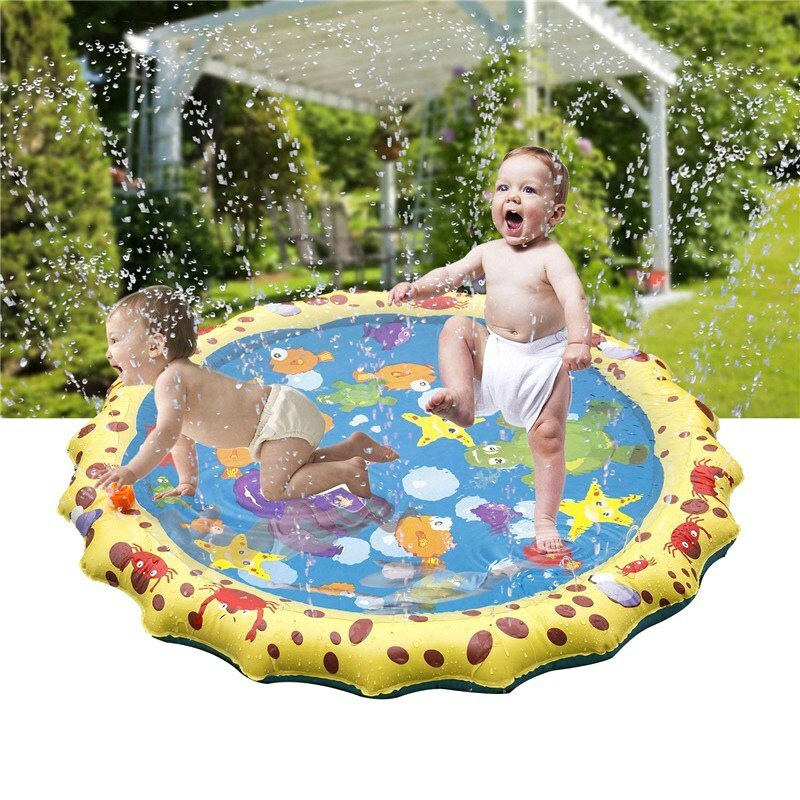 5.Providing just enough splash for your toddler.